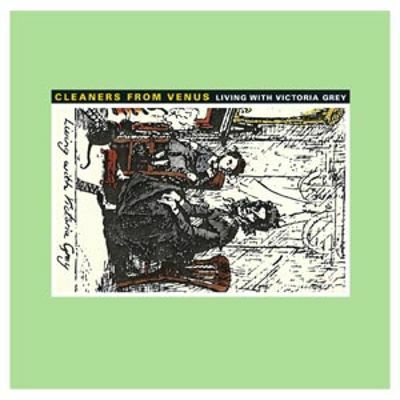 1981 saw the release of the first proper Cleaners of Venus album from the multi-talented auteur, Martin Newell. Since then and even before, his career has continued unabated with success and failure factoring little into his determination to push out album after album of new material under his own name or one of the many projects he’s been a member of since the 70s. While perhaps more renowned in recent years as an accomplished poet in Essex, England, Newell’s output has continued well into the 21st century with his latest record released just last year. Yet, without the assistance of Captured Tracks re-releasing much of his back-catalog in 2013, exposure to his more robust discography would have been limited. For a long time cassettes remained one, if not the only proper way to listen to a Cleaners album outside of a live performance. Each of his albums as the sole constant member of this project has a devil-may-care ambiguity tied to the texture of their respective tracks. In keeping with this attitude, Newell carefully constructs a pop sound that has its roots in 60s psychedelics folded upon layers of more experimental instrumentation that at one time further stretched the limits of what pop was and what it could be. All of this is done by Newell with an intensely DIY ethos that rejected the standard of how music should be released. If you had to place Newell in any particular category you could try and make a case that he belongs firmly in the realm of jangle pop, but it would be reductive to do so. Brushes with post-punk and new wave are frequent throughout his discography in the 80s and 90s. Yet with over 13 proper albums as The Cleaners from Venus alone, not everything is a guaranteed slam dunk with much of the Cleaners output from work from the mid to late 80s not receiving the same attention that had been given to his work earlier in the decade. With Living With Victoria Grey that lack of attention may simply come down to the irreverent sampling bookending most of these compositions. Back to back, has the effect of undercutting the emotion pitched behind each track, making a proper listen jarring from transition to transition. As a whole, the album is much more purposefully madcap and doesn’t take itself too seriously when stacked against his earlier work. Taking each track in piece by piece showcases the album as one of the most slavishly devoted to his influences from 60s pop standards. Tracks like “Stay On” and “What’s Going On (In Your Heart)” easily wring out this quality in droves. Others like “Mercury Girl” are more complexly detailed, recalling some of his more consistent efforts such as his standout Midnight Cleaners from 1982. Like the element itself, in this track Newell croons about a relationship that is ultimately toxic and amorphous. Destructive yet maudlin with the lyrics, the direction and distorted tone make this a bittersweet standout.